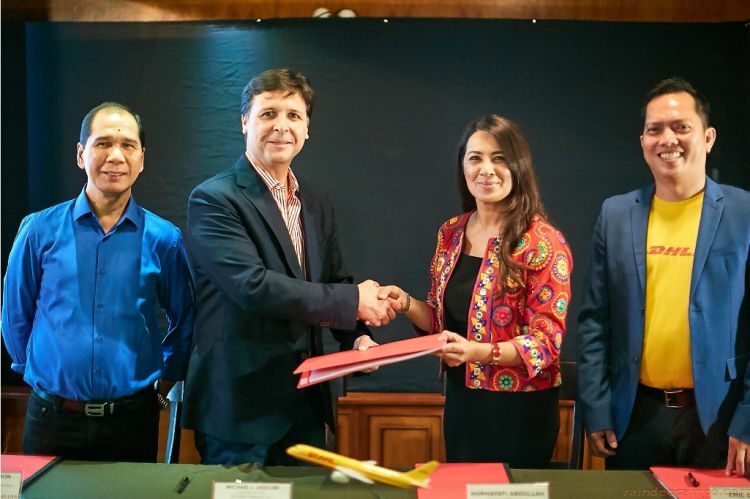 DHL Express, the world’s leading international express services provider teams up with M Lhuillier Financial Services Inc., the Philippines’ leading money remittance service to further strengthen the connection between the local and global markets. Starting from September 15, 2018, 172 selected M Lhuillier branches around the country will offer DHL Express services. This is in addition to the existing 207 DHL Express retail branches in the Philippines. In line with DHL’s aim to connect people and improve lives and M Lhuillier’s slogan of “Tulay ng paMLyang Pilipino,” the partnership aims to strengthen both organizations’ commitment to enable Filipinos, especially overseas Filipino workers, to stay connected to their families anywhere in the world. “At M Lhuillier we are eager to find services and solutions that help our customers get ahead in life. A strategic alliance with DHL Express, will now add logistics services to our extensive branch network, as we strive to link our Kababayans with the rest of the world.” said Michael Lhuillier, President and CEO of M Lhuillier.